This true low air loss replacement system combines on demand low air loss with dynamic alternating pressure and pulsation features to optimize pressure redistribution and reduce shear and friction. The digital control blower based pump offers 4 pressure reducing cycle times and a digital comfort setting for patients up to 400 lbs. 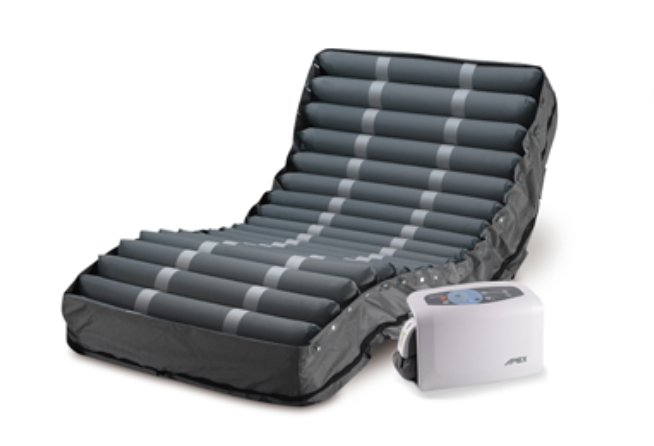 This true low air loss system brings hospital air mattress features into a home or long term care setting. The blower based pump generates continuous 1300 liters of air flow per minute under a special breathable "moisture vapor" permeable cover. This prevents skin maceration and moisture build-up ensuring the patient can sleep on a clean, comfortable, and dry surface. 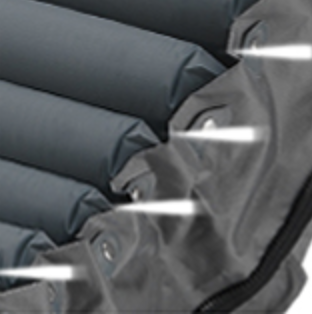 The Silver Ion 4 way stretch cover provides extra odor control and antimicrobial protection permanently killing 99.5% of germs. 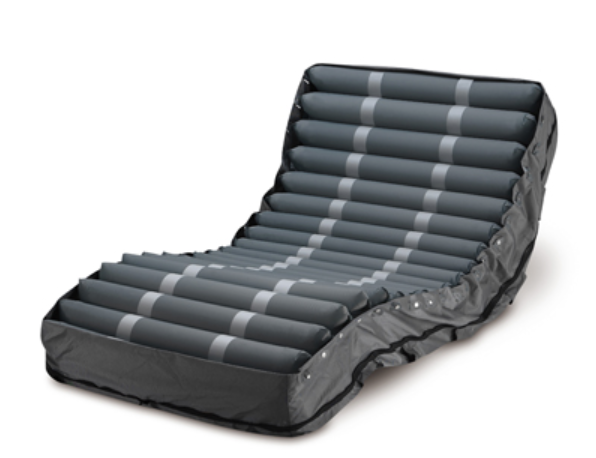 The mattress has 20 individual air cells that evenly distribute a cool micro climate keeping the patients skin cool and dry. Alternating pressure and pulsation features can be added with a push of a button for additional pressure relief to offset painful pressure points. Designed for All Stages of Pressure Sores. 3 diagnostic audio and visual safety alarms alert for issues with air pressure, the system, or power outages. 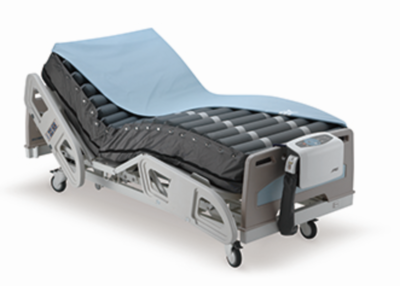 Static Auto Firm Safety feature allows patient to transfer in and out of bed reducing the risk of slip and falls.